Passers-by give an eye to this car and drivers of other vehicles glance back at it. The car has an elegant and luxurious design, smooth and dynamic bodylines and an innovative content under the bonnet – here is a brief description of the Audi A3 NEW rental in Kiev. The present car is an example of the refinement and charm, harmonically combined with a strict design and exact execution of each detail. Do you want to assure yourself of that? Audi A3 NEW rental in Kiev is ready to help you with that right now! Modern characteristics of the external appearance, luxurious design of the interior, broad wheel arches over the massive disks provide the image of the car with a confident and convincing look. This car is appropriate for city streets and can show its capabilities on the country roads. 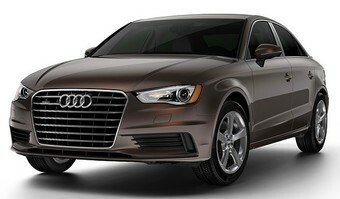 An inexpensive rent of the Audi A3 NEW in Kiev is available at the internet ‘Rental’ page. Here you can hire a car of a chosen car for any length of time at an interesting and attractive price! The only one requirement is the driving experience of no less than 2 years and a valid driving license. Everyone, who wants to hire Audi A3 NEW in Kiev, will make sure of the seriousness of the manufacturer’s approach to solve technological problems – an innovative virtual cockpit will change your perception of driving a car and will be a perfect possibility to get acquainted with the best developments in the modern automotive industry. Audi A3 rental in Kiev will show you the true value of the powerful capacities of the vehicle. Under the bonnet, there is a diesel engine with 110 h.p. and 1.6 liter capacity. This is an excellent opportunity to test a car before purchasing it or to simplify a problem of the quick moving for the guests of the capital, who came here for having rest or on a business trip.